With the fifth anniversary of the 9/11 terrorist attack approaching, I wondered what I would write to honor those who lost their lives in the worst foreign attack on the homeland in almost two centuries. Plenty of stories have already been told about the victims and the heroes, and I wondered what I could add. Not long ago, I received an invitation from the 2,996 Tribute Project. The organizers want bloggers to remember each one of the dead from that terrible day, and in order to ensure that no one gets forgotten, they assigned a victim to each blogger. The project assigned me Ysidro Hidalgo-Tejada, a food-service worker in the World Trade Center. I tried doing some research on Ysidro. The messages at the website indicate that he had a family that loved him, a family that the Dominican Republic immigrant supported by working at the Windows On The World restaurant at the top of the North Tower. We have heard something about the situation that the people in the restaurant faced in their final minutes. The restaurant manager called several times to emergency workers, trying to get some assistance and eventually realizing that it would not come. The smoke and fumes were choking those trapped in the restaurant even before the tower fell, but they did their best to hold up until the very end. We do not know how Ysidro spent those last desperate minutes. We do know that all three stairwells were severed by American Airlines Flight 11. Did he try to make his way out? Or did he die like he lived, helping others and supporting them even after hope ran out? In the end, we have no information on which to judge, just like I could find no information on the life Ysidro lived before the attack that killed him. It's hard to do justice to Ysidro. I never knew him, his family, or even have an inkling of his life; all I have is his death, and not even enough of that to distinguish him from the other 2,996 victims of the attack. But in a way, Ysidro serves as an example of the people who died that day. All Ysidro did was work hard and support his family, serving the diners who made their way to the highest restaurant in the world in one of the greatest cities ever built. Everyone who died that day just wanted to help people and make life a little better for themselves and those around them. Ysidro came to the United States because of the promise of freedom and the ability to make his own way in the world. He died because terrorists fear and hate that about America and the West. Ysidro stood for something they could not abide: the ability to make his own decisions and live life his own way. Ysidro deserves to be remembered far more than the lunatics who took his life and all the others. Godspeed, Ysidro. I'm sorry we didn't get the chance to know you better. The terrorists stole that opportunity from us. UPDATE: Michelle Malkin has hers posted already. Ysidro Hidalgo-Tejada had a gentle touch that he applied to making dinner for his huge extended family, planting flowers, or taking care of his 90-year-old diabetic mother when he visited his native Dominican Republic. 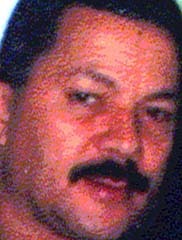 Mr. Hidalgo-Tejada, who was 50, worked in food preparation at Windows on the World. Even though he worked around food all day, he would often go home and prepare something special for his wife and three daughters, said his eldest child, Anyela Hidalgo, 18. "I miss him every day," Ms. Hidalgo said softly. "I'm not going to have my dad with me anymore. My little sisters, they don't want to talk about him much. One of the last things we did together was to go to the Statue of Liberty. We had to wait in line for a long time but my dad said it was worth it." In his down time, Mr. Hidalgo-Tejada enjoyed playing dominos and watching the Discovery Channel. His family kept him busy, too; he had 10 siblings and more than two dozen nieces and nephews. A gentle man, whose life was snuffed out by vicious and bloodthirsty terrorists. They could never hope to have Ysidro's value as a human being.